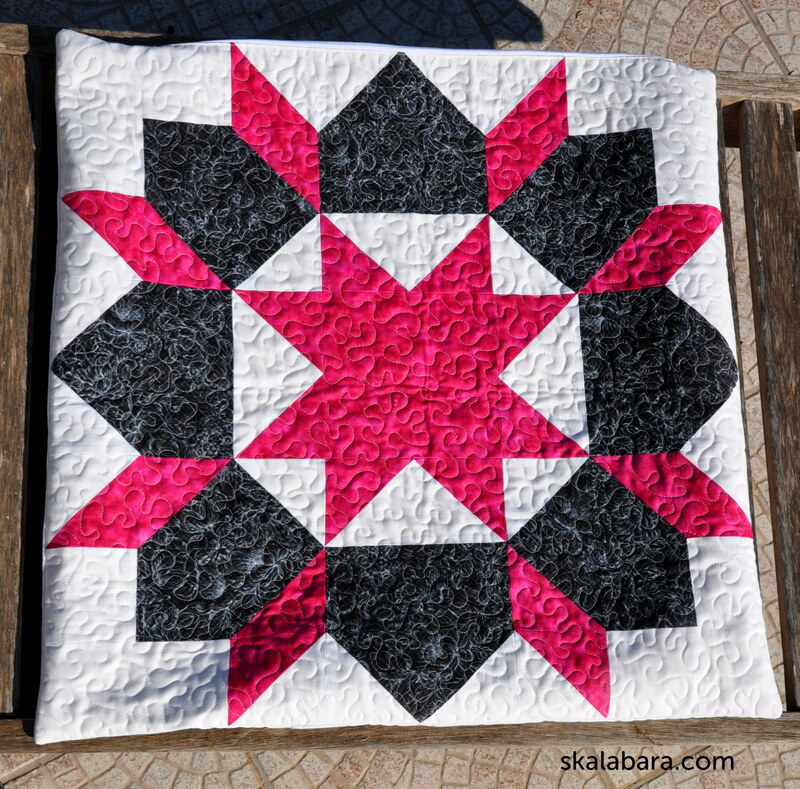 I have used all the rests from swoon blocks I have found and pieced another 3 pillow covers. 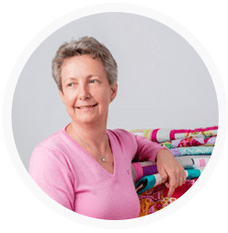 All pieces are free motion quilted with meanders. Practice is the best teacher! 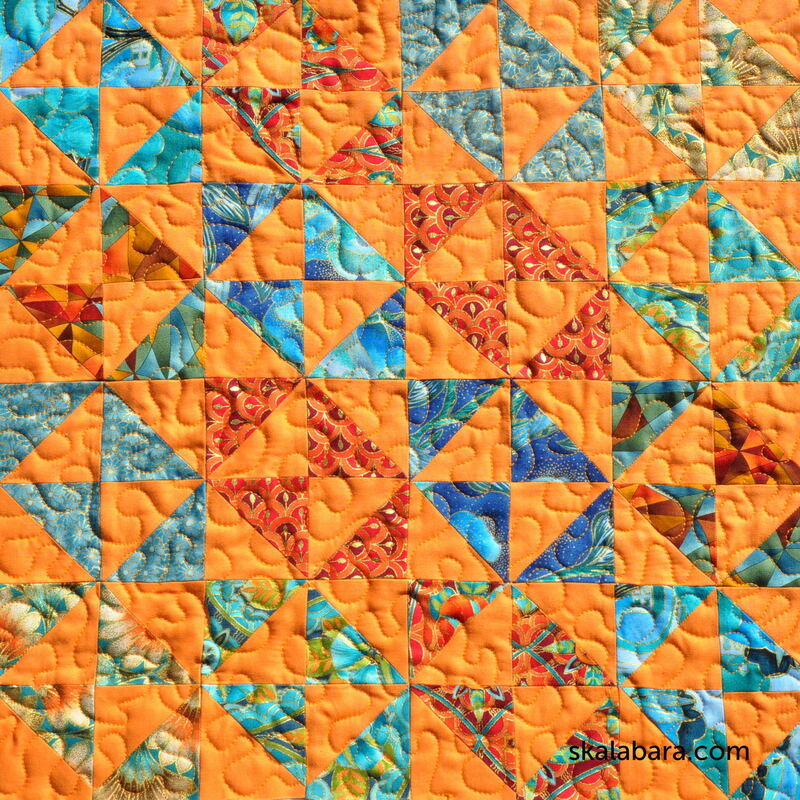 Pinwheels and broken dishes blocks in orange. 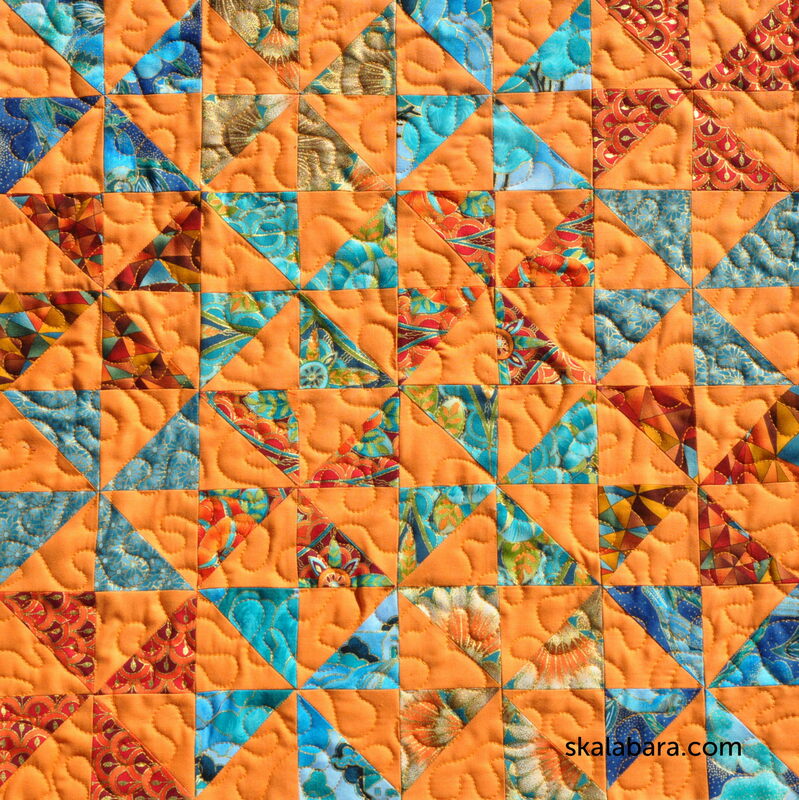 This entry was posted in blocks, free-motion quilting, patchwork, small projects and tagged block, FMQ, machine quilting, pillow case. 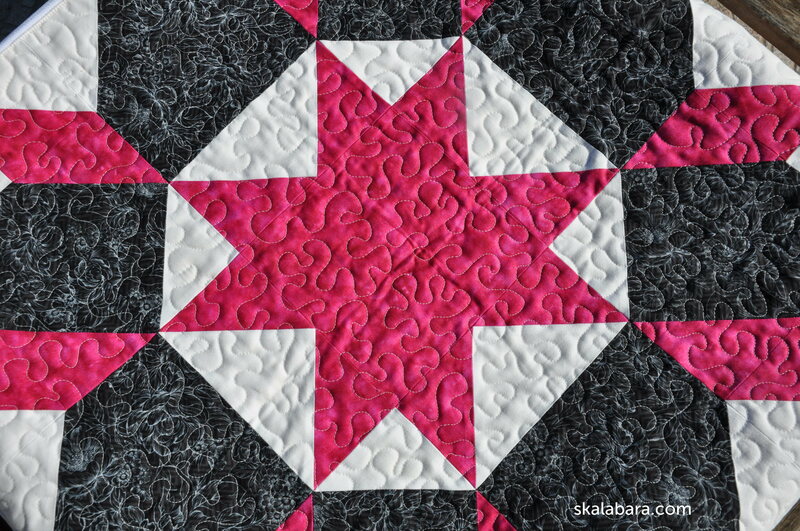 Your quilting is great. I am so jealous. Thanks, I wish I could piece my blocks as precisely as you. 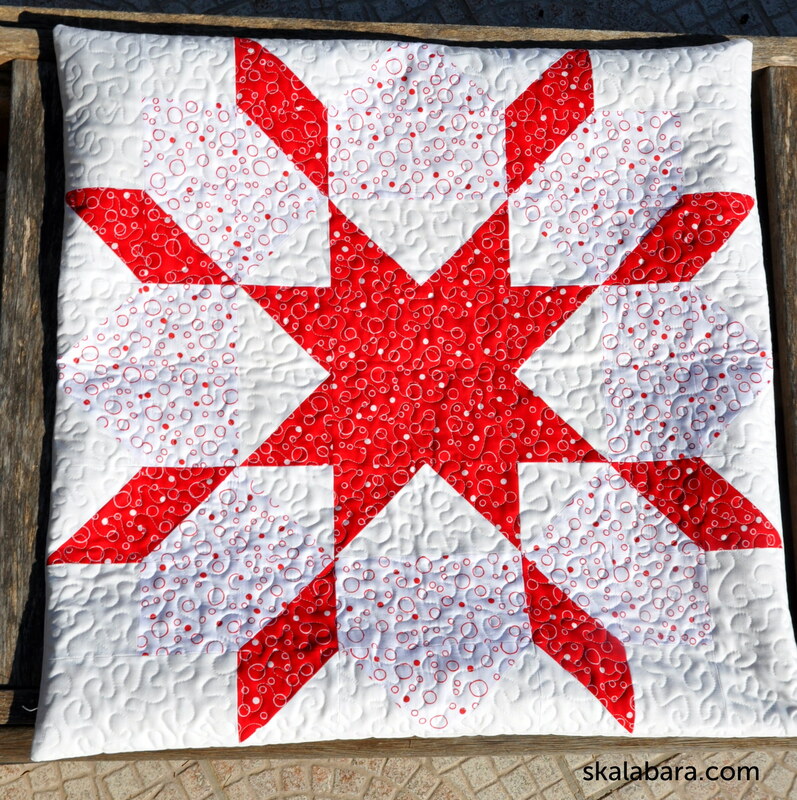 Love your paper piecing stars. I think this will be my new challenge for 2014! So I’ll be visiting your site a lot. I’m in practice mode too–yours looks very good. Interesting how different light and dark fabrics make the swoon block look, especially the first two photos. Thanks for your comment. I have seen many swoon blocks with many different color combinations and each of them is an original. Each color gives a totally different impression of the block.